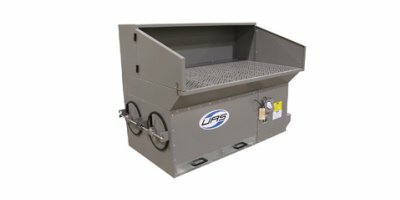 Does your operation generate less than 100 lbs. of particulate in a year? 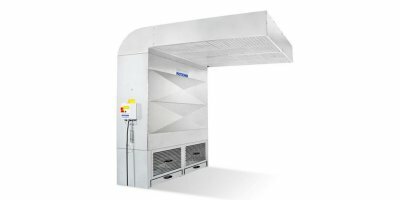 The Dustron DPB Panel Booth is a versatile, easy-to-operate control booth for light to moderate loads of dust, smoke, or fumes. 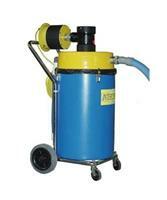 The Vacomat mobile dust extractor series, is ideal for the extraction of chips and dust. 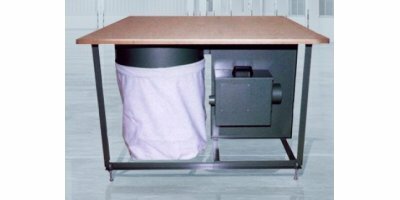 Our dust collectors are often used as single or multi-machine suction systems in small and medium-sized companies with air volumes of up to 8,000 m³ / h.
The sub-stations partially illustrated on this page have been designed for filtering dust from woodworking, or in all companies where there is a high concentration of dust. Built in galvanised sheet metal and steel profiles for the load-bearing structure. By Barucca Impianti srl based in Montecchio, ITALY. 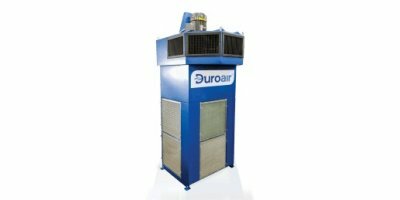 This machine was designed to pick up fine concrete dust or wood dust. When the filter is clogged, just open the top valve and let the air burst in to the vacuum to clean the filter. When the indicator light flash, it is time to open the valve. When the tank is full, just close the bag and discard it with the dirt. 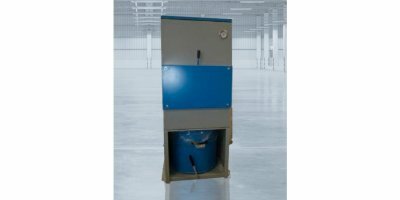 Ambient Air 2000C commercial free-hanging, self-contained air cleaners offer two-stage media filtration of dust, smoke, fumes, soot and other airborne particulate contaminants. By Duroair Technologies Inc. based in Niagara Falls, ONTARIO (CANADA).